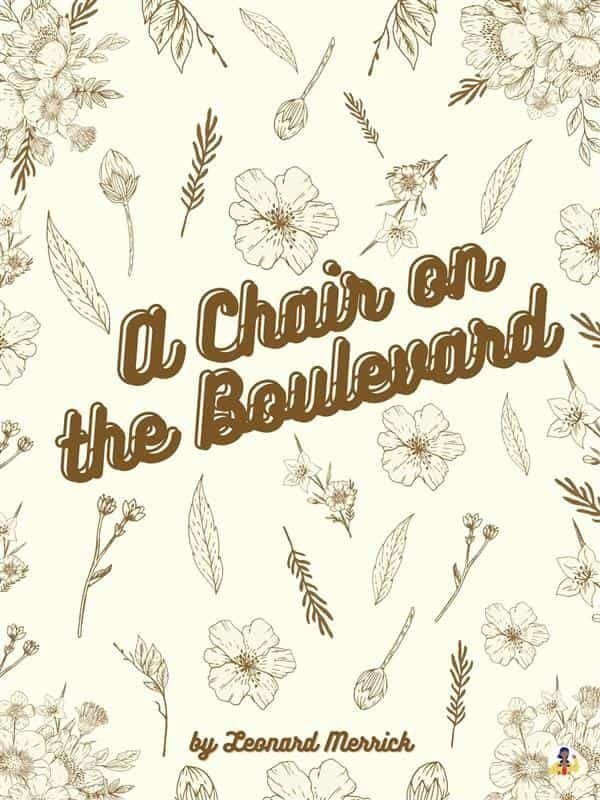 A Chair on the Boulevard is a collection of humorous short stories written by Leonard Merrick. In this collection of charming comedic short stories, Merrick's witty insight shines through. Leonard Merrick (21 February 1864 – 7 August 1939) was an English novelist. Although largely forgotten today, he was widely admired by his peers, J. M. Barrie called Merrick the "novelist's novelist." He was born as Leonard Miller in Belsize Park, London of Jewish parentage. After schooling at Brighton College, he studied to be a solicitor in Brighton and studied law at Heidelberg, but he was forced to travel to South Africa at the age of eighteen after his father suffered a serious financial loss. There he worked as an overseer in the Kimberley diamond mine and in a solicitors office. After surviving a near-fatal case of "camp fever," he returned to London in the late 1880s and worked as an actor and actor-manager under the stage name of Leonard Merrick. He legally changed his name to Leonard Merrick in 1892. He later worked his experiences in South Africa and in the theatre into numerous works of fiction. Merrick's novels include Mr Bazalgette's Agent (1888), a detective story; Violet Moses (1891), about a Jewish financier and his troubled wife; The Worldlings (1900), a psychological investigation of a crime; Conrad in Quest of His Youth (1903), the tale of a disillusioned man who, at thirty- seven, sets out to pick up the romantic threads of his younger life, it is "judged his most successful work" according to John Sutherland. George Orwell thought that this is because it is one of the few of his books which is not set against a background of poverty.